Collaborating with scientists and physicians, medical illustrators transform complex information into visual images that are used in education, research, patient care, public relations, legal cases, and marketing efforts. The medical illustration degree provides training in the biomedical sciences, the principles of visual communication, and a variety of digital media including 2D illustration, 3D computer modeling, animation, and interactive media to produce scientific professionals with an emphasis on visual problem solving. A medical illustrator is a professional artist with advanced education in the life sciences and visual communication. RIT’s MFA in medical illustration is one of only five such programs in North America and the only program in the northeast. 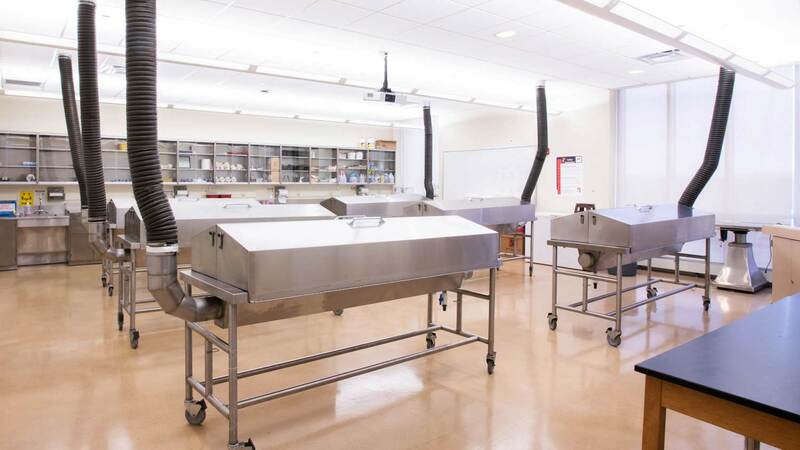 It combines training in human anatomy (with complete cadaver dissection), histology (the cellular structure of organs), and pathophysiology (the study of disease) with extensive training in 2D and 3D digital graphics, interactive media, and animation. Illustration projects are designed for use in print, projection, broadcast media, and distribution via the web and mobile devices. The program emphasizes visual problem solving, determining the best approach to communicate a difficult concept. Students also gain real world experience collaborating with medical researchers and observing live surgery in an operating room. The program culminates with the production of a thesis project, which requires extensive background research and an original body of artwork on a complex medical topic. RIT is one of the top universities in the nation working at the intersection of technology, the arts and design. RIT’s design programs are world ranked due to innovative students and faculty, along with close ties to industry and alumni. Click for a story and video. In 2009, Ryan Steenberg graduated from RIT with a master’s degree in medical illustration. Seven years later, Steenberg was runner-up in the 2016 World Long Drive Championship. This course provides an in-depth study of the structure of the human body. Emphasis is on understanding the relationships between anatomical structures as well as their form, texture, and color. Dissection of a human cadaver is supplemented with lectures on the structure and function of the major organ systems. 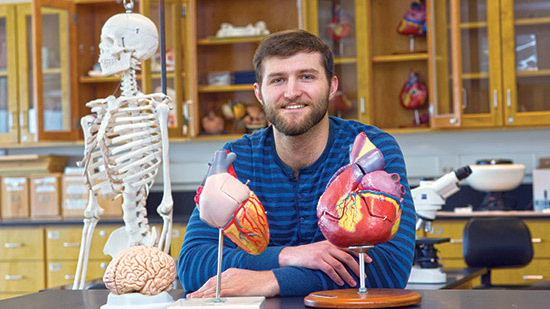 Through independent research and acquired understanding of human gross anatomy, students create illustrations designed to support medical or graduate level instruction of Human Gross Anatomy. Course requires students to cognitively illustrate their subjects, rather than creating literal interpretations of their observations. Work is intended for full color print media. This course introduces strategies to create polygonal models of biomedical subjects. Students will use contemporary research to accurately define structure and suggest function. Instruction will also focus on lighting and "shader" systems that emphasize form and are consistent with tissue characteristics. This graduate course in the Medical Illustration (MFA) program will provide an introduction to the fundamental facts and concepts on immunology to include: innate and adaptive immunity; cells, molecules, tissues and organs of the immune "system"; cell communication and interaction; antibody structure and function; and the application of these concepts to infectious diseases, vaccine design, autoimmune diseases, cancer, transplantation, regulation of the immune response, allergic reactions and immunosuppression. Students will gain an understanding of immunological principles and techniques, and their application to contemporary research, with results from instructor’s research laboratory. This course is designed as a graduate-level course in pathophysiology, the study of disease and its consequences to human health. It covers mechanisms of cell injury, the homeostatic responses of cells and tissues, and the clinical manifestations of disease, concentrating on the disease states that are most frequently encountered in clinical practice, including infection, cancer, heart disease, and diabetes. The course follows a medical school model by using a clinical case-based approach that promotes active, team-based learning and professional written communication. Students will conduct independent research to create and illustrate a clinical case study. This course explores animating biomedical subjects and processes. Students will be asked to research contemporary theory defining their subjects' anatomy and create animations consistent with their findings. Frame by frame animation, blend shapes, non-linear deformers, and rigging systems will be introduced to permit students to choose the most effective method for creating motion and transformation. Students will learn to use industry-standard raster and vector illustration software to create images based on independent research of medical topics. Students will also use page layout applications to combine digital images with text and other graphic elements. Coursework emphasizes creation of illustrations to support medical education and publishing. Emerging technologies enable scientists to visualize structures that are otherwise invisible to the naked eye. For example, molecular visualization software allows us to construct highly accurate molecular models from x-ray crystallography and other structural data. Cryo-EM and confocal microscopy are revealing the previously unknown structure of cellular organelles. Medical imaging systems allow us to reconstruct the human body in three dimensions from actual patient data (CT scans, MRI, etc.). This course explores the use of these technologies to provide references for traditional artwork and to export models for digital rendering and animation. Students conduct background research and create a body of artwork on a contemporary medical topic. The artwork is exhibited during one of several graduate thesis shows or during a screening of digital animation and interactive works. The thesis culminates with the production of a written thesis paper that documents the process of creating the work. This course is an introduction to two dimensional computer illustration, animation, and interactive media as they apply to contemporary methods of instruction in medicine and allied health. Students will research a current topic in health care and develop interactive lessons that match the instructional objectives of their topic. Students will organize these lessons as a web site. Students observe and sketch live surgical procedures at a local hospital. After further background research, students translate their sketches into finished illustrations that are used in medical training, patient education, and litigation. Demonstrations of sketching and rendering techniques are supplemented with lectures on general surgical principles and common procedures. This course continues the development of student web sites designed for allied health instruction. Advanced topics in two dimensional computer illustration, animation, and interactive media will be presented. Students will research current topics in health care and continue the development of the interactive lesson begun in the previous class. This course helps prepare students to enter the workforce in full-time positions or as freelance illustrators. Students create a traditional portfolio, personal identity package, and marketing materials. The course also introduces important business concepts such as copyright, licensing, pricing, contracts, taxation, and formation of a proper business. Human-computer interaction (HCI) is a field of study concerned with the design, evaluation and implementation of interactive computing systems for human use and with the study of major phenomena surrounding them. This course surveys the scope of issues and foundations of the HCI field: cognitive psychology, human factors, interaction styles, user analysis, task analysis, interaction design methods and techniques, and evaluation. This course will focus on the users and their tasks. Designing meaningful relationships among people and the products they use is both an art and a science. This course will focus on the unique design practice of: representing and organizing information in such a way as to facilitate perception and understanding (information architecture); and, specifying the appropriate mechanisms for accessing and manipulating task information (interaction design). This course will also explore the various design patterns (design solutions to particular problems) that are appropriate for the HCI professional. Students will need prior knowledge of an interface prototyping tool. Instructional Technology encompasses the basic processes for developing and delivering instruction. Instructional Systems Design (ISD) is a well-established methodology for describing knowledge and skills and developing instructional systems to effectively conveying knowledge. This course enables the student to be able to plan, organize, and systematically develop instructional materials. The course uses an ISD model to analyze, design, deliver, and evaluate instruction. This course is an upper division course on a topic of special interest that is not part of a formal curriculum. The course design may differ by topic or faculty member but will include prerequisites, contact hours, and examination/assessment procedures. The level of study is appropriate for students in their final two years of study. Medical Illustration Independent Study will provide students with the ability to study in a specialized area with an individual faculty member. Students, with the assistance of a faculty advisor will propose a course of study. Medical Illustration Independent Study students must obtain permission of an instructor and complete the Independent Study Permission Form to enroll. Hold a baccalaureate degree (or equivalent) from an accredited university or college in a field of the arts, sciences, or education. The undergraduate degree should include studio art courses, one year of general or introductory biology (for biology majors), and a minimum of three advanced biology courses, such as vertebrate anatomy, physiology, neurobiology, cell biology, molecular biology, immunology, microbiology, genetics, developmental biology, or pathology. Demonstrate, through the quality of the undergraduate record and creative production, a genuine, professional potential. Those applicants coming from countries where the baccalaureate degree is not awarded for programs in the practice of art may be admitted to graduate study if the diploma or certificate received approximates the standards of the BFA, BA, or BS degrees, and if their academic records and portfolios indicate an ability to meet graduate standards.